Archangel Raphael’s Mission (ARM) was founded in 2014 as a group effort to do more in our community. Our founders collectively came to realize that the difference in living conditions and opportunities between themselves and the wealthiest in the world was insignificant compared to the difference between themselves and the homeless. Shelter, food, multiple pairs of clothes, access to showers, soap, and toilets are basic necessities that only the homeless and the most disadvantaged or unlucky are forced to live without. In light of this, the difference between living in a mansion or a small studio apartment became inconsequential. 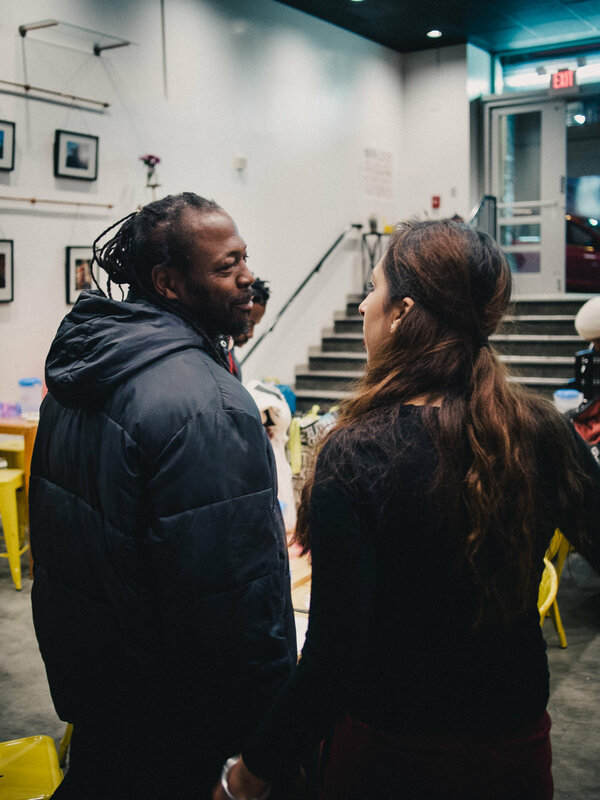 The ARM team first addressed the situation by providing nightly, family-style community dinners to the homeless through partnerships with local businesses. The dinners provided food and positive social engagement throughout the community and exposed another critical issue: access to hygiene services. Life is tough, it’s even tougher when you haven’t had a shower, a haircut, or a great meal, so we provide programs that offer these basic human necessities. The ARM team’s current mission: to provide health and hygiene services to those who need it. ARM believes that no one should have to live without these basic necessities. Dignity, Community, and Opportunity are the three values that drive our team. Life is tough, it’s even tougher when you haven’t had a shower, a haircut, or a great meal. We cultivate opportunity by working with communities to offer services to those who could most use them. In this way we help restore dignity to those who might have lost it, so that they can more readily pursue greater opportunities.